*This ultra-pure fish oil concentrate offers nutritional support to the cardiovascular system and the joints. 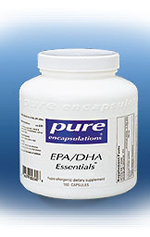 EPA and DHA from fish oil promote cardiovascular health by supporting healthy triglyceride and lipid metabolism, maintaining healthy blood flow, and supporting healthy platelet function. Fish oil is also important for optimal joint function. It maintains healthy prostaglandin and leukotriene production, which is important for maintaining connective tissue health and comfort. REFERENCE: Thies F, et al. Association of n-3 polyunsaturated fatty acids with stability of atherosclerotic plaques: a randomised controlled trial. Lancet 2003 Feb 8;361(9356):477-85.